A better understanding of how people with multiple sclerosis (pwMS) recover from exercise may help inform interventions. We explored physiological and perceptual responses following exercise of different intensities, using a crossover exposure-response design, in 14 adults with multiple sclerosis (MS) and 9 controls. A cycling exercise test determined maximum capacity (Wpeak). 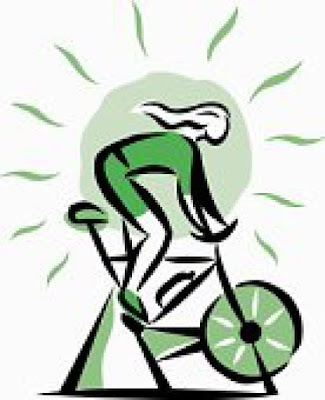 Participants then performed 20-min exercise sessions relative to Wpeak (random order separated by 7 days): (1) 45% and (2) 60% continuous cycling and (3) 90% intermittent cycling (30 s cycling, 30 s rest). During a 45-min recovery period, tympanic temperature (Temp°C), exertion in breathing (RPEbr) and legs (RPEleg), and cortical excitability (MEParea) were measured. Eleven pwMS and eight controls completed the study. Controls performed better on the exercise test (p < 0.05), thus more absolute work during subsequent sessions. PwMS took longer to recover RPEleg with recovery time increasing with intensity (45%-6 min; 60%-15 min; 90%-35 min) and correlating with Temp°C. MEParea was significantly depressed in both groups at 45% and 60% (p < 0.001), in the MS group this also correlated with RPEleg. Conclusions Feelings of leg exertion may persist after exercise in some pwMS, especially at high intensities. This may relate to body temperature and, after continuous exercise, cortical excitability. These results support considering the recovery period post exercise and provide an insight into potential correlates of post-exercise fatigue.